Have you purchased your tickets for the "We Will Not Be Tamed" celebration and dinner? Join us in Dallas at the Longhorn Ballroom on November 8 to celebrate thewild things and wild places of Texas! The "We Will Not Be Tamed" sweepstakes winners will be announced! On Saturday, September 8, 2018, Love For Kids, Inc. is hosting Palette to Palate, our 8th annual fundraising event focused on art, wine, food and live entertainment. Palette to Palate 2018 presents “Stetsons & Stilettos II” at the historic 1950’s Dallas landmark Longhorn Ballroom in celebration of their first anniversary or the reopening. Please save the date as this will be an evening to remember and you don’t want to miss the special concert performed by Asleep At The Wheel! To conclude the evening, ten time Grammy Award winners “Asleep At The Wheel” will be performing in the tradition of Bob Wills for a celebration of the first anniversary of the reopening of the Longhorn Ballroom. This celebratory concert in honor of the Longhorn Ballroom will immediately follow Palette to Palate Stetsons & Stilettos II. Event tickets for both Palette to Palate Stetsons & Stilettos II and Asleep At The Wheel will go on sale June 15th. Palette to Palate will again have the best darn western soiree’ in town, with our traditional food, wine tastings and art displays. Back by popular demand the “Bob Wills Tribute Band” will appear, featuring Stefani Little. Last year this band amazed the audience when Leon Rausch, one of the original Texas Playboys, stepped back on the Longhorn stage, bringing down the house with Stefani Little. We will be showcasing some of the best Texas Red Dirt Country Western Music Artists during the tasting hours of the evening. Highly acclaimed Chefs will be featuring their most popular signature appetizers from many favorite local restaurants, along with featured wine tastings. Our guests will have the opportunity to view and purchase original art created by several local artists, as well as participate in our live and silent auctions. For tickets to Palette To Palate click here. For tickets just to the Asleep At The Wheel Concert click here. RVC Promotions and Longhorn Ballroom and are excited to celebrate DFW's best BBQ joints. Saturday, August 11th from 3p-11p will be a day of country music, local spirits, craft brews, and the best BBQ from every party of the Metroplex. VIP admission will be from 3-5pm. GA begins at 5pm. THE RETURN OF THE MASQUERADE BALL!!!! You wanted it, so we are giving it to you! 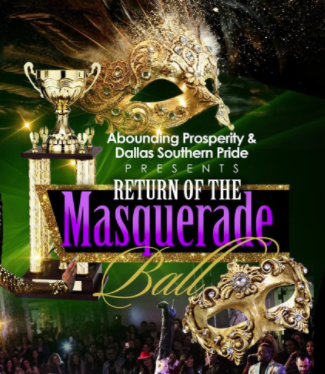 Back by popular demand, Abounding Prosperity and Dallas Southern Pride are teaming up for the return of the ball that started it all in Dallas… the infamous Masquerade Ball. From the root of the southern trees bearing a strange fruit, this year’s Masquerade Ball will be the ballroom scenes top destination to engage in fierce battles, striking poses, and roaring chants as moments are made and statements, stars, legends, and icons make their appearances. Done in true lone star style, everything will be bigger and better this night. Everything from the legendary Longhorn Ballroom which is known for hosting iconic events with over 33,000 square feet of space to the larger than life cash prizes and trophies will be done bigger as always promised in Texas…. Come make your moments, come get your life, come win this cash, and leave knowing that whether participant or spectator, you will be a part of a night of fellowship as only can be done in the south…fierce competition…black elegance… and a ball that is going to be part of history in the making!!!! Starring Grammy award-winning R&B singer Tank, the Iconic Trina, Once upon a time's Mariah Lynn, Love & Hip Hop Miami's Prince and Bobby Lykes, Empire's Terrell Carter, and much more!! Live music, entertainment, 36 ft. adult water slide, Dunk tank, vendors, food, and much more! Featuring Emerald City and other live local Dallas music artists. Donations accepted at the door for Mementus Institute. Ticket Purchase Page! FREE PARKING! Celebrating the 40th Anniversary of the Original Texxas Jam, this event will feature 8 Top Local DFW Tribute Bands that play tribute to several of the bands that played many of the actual Texxas Jam's. Come hear the music, share the memories and join in the Celebration of the 40th Anniversary of the Texxas Jam! Texxas Jam Tribute Festival kicks off Saturday, May 12th @ 1pm with many side events throughout the day. FREE PARKING, reasonable priced drink, food bar, IN & OUT accessibility. * Eddie Van Halen Guitar Solo Competition - We will be kicking off the Saturday event with an Eddie Van Halen Guitar Solo Competition that will host a panel of judges. Winner of the competition would be award a Trophy and a Cash Prize of $150 and 10 Hours of Rehearsal Time at Texas Jam Rehearsal Studios in Plano Texas. A tribute to Joan Jett. So far we have a few confirmed acts: Juni Moon, Little Green Working Men, Without Warning's Phil Holland, George Call from ASKA and Jeff Gerhardt. Several side events happening throughout the day! *Join the Texxas Jam Tribute Festival FB Group for more info and join in on the conversation! *Texxas Jam Tribute Festival Website! 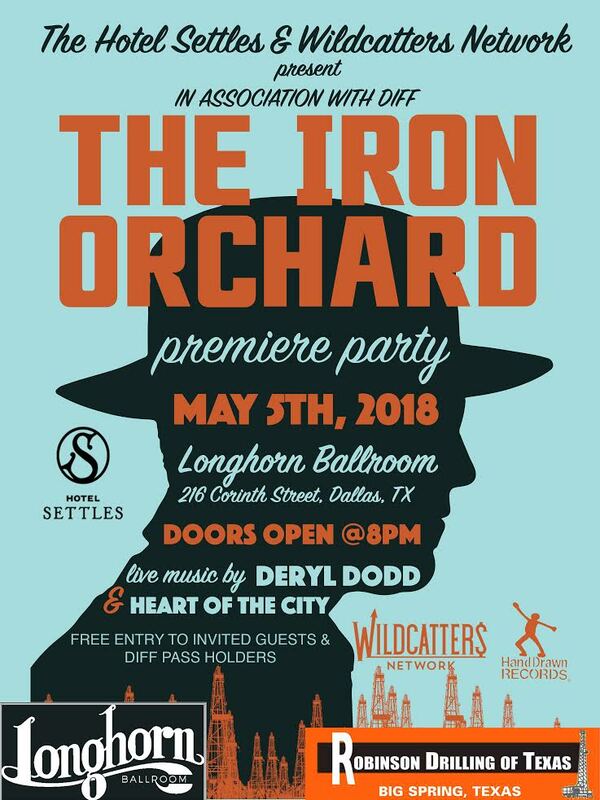 This event sponsored by Dallas Concerts, Longhorn Ballroom, JAM Magazine & Gig Whore! Magazine, Platinum Music Complex, Texas Jam Rehearsal Studios, VokalNow! 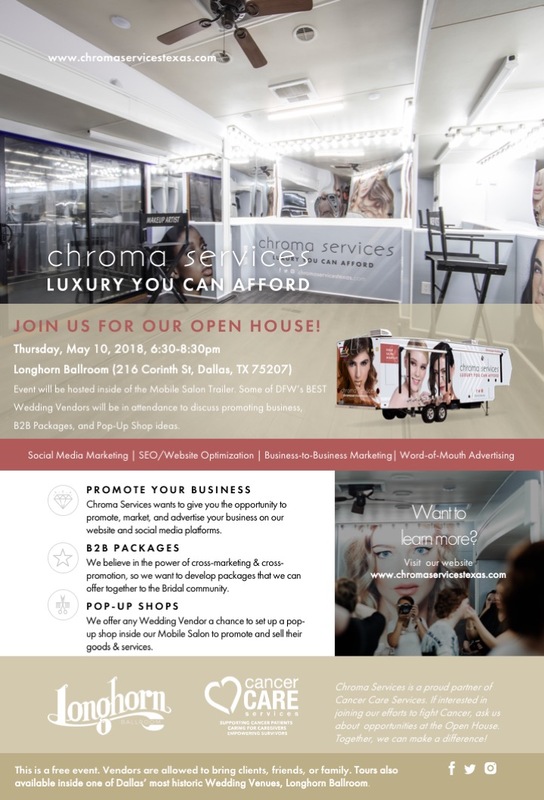 Chroma Services wants to give you the opportunity to promote, market, and advertise your business on our website and social media platforms. We believe in the power of cross-marketing & cross-promotion, so we want to develop packages that we can offer together to the Bridal community. We offer any Wedding Vendor a chance to set up a pop-up shop inside our Mobile Salon to promote and sell their goods & services. Join us in the opening of the Longhorn Ballroom Park on April 28th & 29th. Every weekend will offer horseback rides along the Trinity River with views of the Dallas Skyline. In addition, there is a leash less dog park along the Trinity River. We will be serving award winning BBQ from companies like One90 Smoked Meats, Pecan Lodge Catering, and other food items in addition to your favorite beer. Texas’ most historic showplace is thrilled to open its backyard to Dallas dwellers for a weekend full of fun-filled activities starting April 28. Offering a scenic Trinity River view away from the hustle and bustle of downtown Dallas, the new Longhorn Park is a taste of what’s to come at the property. With plans to open a two-and- a-half-acre outdoor Container Park in the future, Longhorn Ballroom owner Jay LaFrance is giving patrons a reason to visit the historic space and spend time in nature this spring. Every Saturday and Sunday starting April 28, the Park will offer horseback riding, local live music, and a leash less dog park for your furry friends, in addition to beer specials from Texas Ale Project and Texas-style grub from Pecan Lodge Catering and Tillman’s Roadhouse. Longhorn Ballroom is located at 216 Corinth St., Dallas, TX 75207. Starting at 9 a.m., Longhorn Park will offer 20 minute horseback rides from the Longhorn backyard across the Trinity River levy, offering a horseback view of the river and downtown Dallas skyline for $25. Its new leash less dog park will serve as a place for furry friends to run wild as patrons enjoy brews and BBQ outdoors. Longhorn Park programming will continue as weather permits through fall. With each Pecan Lodge Catering and Tillman’s Road House plate or sandwich purchase, patrons can enjoy a free seasonal Texas Ale Project beer. Texas Ale Project will also offer $5 beer specials for anyone in the Park during opening weekend. Texas-style food offerings include Pecan Lodge Catering brisket, sausage, ribs, and pulled pork plates or BBQ sandwiches with Tillman’s Road House sides. Grand opening weekend at the Park will also feature local live music from 3 to 6 p.m. from two Fort Worth-based rock bands, Meach Pango and Cut Throat Finches, from local record label Hand Drawn Records. Party like a Ewing at this exciting 40th anniversary reunion celebration at the iconic Longhorn Ballroom, the filming location for many of the series' original bar scenes. Enjoy live entertainment by country favorite Neal McCoy, food and drink, and interviews with the cast moderated by the popular Jody Dean from Dallas' KLUV radio. Engage in DALLAS trivia, sponsored by the Dallas Film Society, for a chance to win exclusive prizes. *Ticket price includes admission, food, two drink tickets and valet parking. Event is 21 and up. (DALLAS, November 2017; source: CultureHype) –Longhorn Ballroom co-owners Jay and Amber LaFrance are thrilled to open their doors for the 15th annual Cedars Open Studios on Saturday, Nov. 18. With an artist studio tour highlighting work from the eclectic Cedars community, the Cedars Open Studios will host guided tours of the newly restored Longhorn Ballroom by the LaFrance family at 1 p.m., 3 p.m.and 5 p.m. that day. Admission is free and open to the public during the tour, which will take place at various locations from 10 a.m.to 6 p.m. The venue will also host an official after party for the open studios from 7 to 10 p.m.with live performances by local Hand Drawn Records artists Silas Nello and Henry the Archer. The Longhorn Ballroom is located at 216 Corinth St., Dallas, Texas 75207. The Cedars Open Studios celebrates 15 years of supporting artists in one of Dallas’ historic neighborhoods. The artist studio tour highlights the work coming out of an eclectic enclave that has long been home to painters, photographers, sculptors and others who have enriched the cultural landscape of this city. Get tickets to Meat Fight 2017 here. Get tickets to The Edge of Texas here. Get tickets to Fall-O-Ween by The Food Experience.